Early this summer, I was moping a bit about how our every-other-summer overseas trip was not likely to happen. Last summer, I was too pregnant to justify a 10-hour flight somewhere (or so the doc said), and this summer was getting away from us quickly. There’s the we-have-a-10-month-old thing, which is entertainment enough to never leave the house and a decent excuse to think an 8-hour flight somewhere sounds like torture. And we’re in the process of buying our first house this month (wahoo!). I’m told the fun part of that will start eventually (watch out light fixtures on Pinterest! ), but oh the paperwork! Needless to say, this summer seemed too busy to jump on a plane and head across the sea. Summer farm dinner in Loudon County. My loves at a farm. Cora loves her blueberries (well, not the sour ones). That is, until someone asked me to. 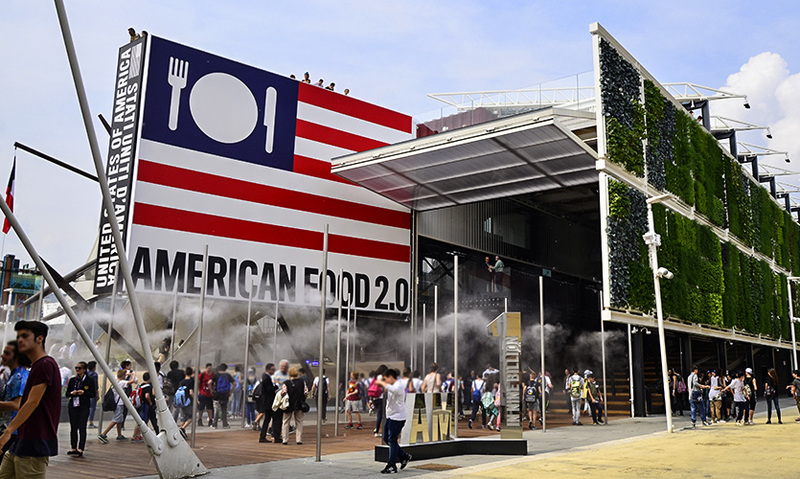 Last year, I wrote about the U.S. Pavilion at the 2015 Expo Milan (i.e. The World’s Fair) for The Washington Post, and I was recently invited to go see it for myself. It amounts to a quick press trip to several European stops, and I just couldn’t pass it up. So I leave for Milan today, by way of Paris, Munich and Turin! I’ll keep you posted here and on social media about the Expo, whether it’s all the rage we’re told it should be. Figuring out how to feed the world’s 9 billion by 2050 sounds like an exposition worth witnessing firsthand, even if panel discussions and vertical gardens can only go so far to progress the conversation. I would write much more, but my dear daughter decided to (finally) start crawling today, which means I’m in full-on chasing mode. And a hearty thanks to my dear husband, nanny and mother-in-law for picking up the reins back home so I can make this quick trip happen! p.p.s. If you’re just looking for a good farm read to make you feel like you went to a farm, check out this heartwarming piece I wrote for Edible DC about Red Wiggler Farm.